Information technology and tools, including software, do combine well with the engineer’s skills and knowledge for an all-rounded superior performance and delivery. ver the years, IT has seen massive integration in the tools and systems we have. This ranges from microprocessors replacing electromechanical parts, to the use of software to monitor and control. 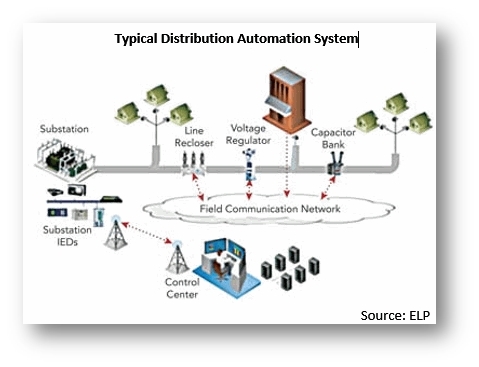 Conventional electrical equipment and system, including substations, often consists of independent components and systems, often requiring separate attendance. Integrating IT, however, enables the engineers to monitor and control the whole system as one unit. The state of any electrical equipment at any one stage is critical to performance, safety and longevity. Proper procurement, storage, and management of this data is crucial. Engineers use database management software and tools to store and manage real-data. This information comes in handy in determining the current and projected state of the equipment such as power meters. A handy feature is the ability of most of the software to auto-generate reports and graphs for simplified analysis and reference. This allows for effective equipment monitoring, as well as improved ability to investigate and solve arising issues. Manual monitoring and recording of data is hectic and prone to errors and misplacement. Integrating IT with electrical equipment and systems allows the staff to be more effective in equipment operation and attending to maintenance schedules. This frees up time for the engineers to undertake preventative maintenance procedures rather than problem-solving. Fault algorithms are crucial for electrical power systems as they provide information that enables the engineers to operate the equipment on the optimum working condition based on current state and maintenance history. IT integration provides a safe way to monitor the system, as well as an easy to use interface for interpretation. Access to fault diagnostics promotes safety, optimised equipment efficiency and continual operation of electrical equipment. Do note that electrical systems continue to be complex and advanced; the value of integrating IT for coordinating the systems is crucial. 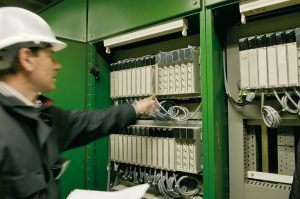 It also includes automated service restoration such as automated feeder switches and other fault clearance installations. In addition, the systems combine the measurement data and intelligent systems to gauge the power needs of the loads, and consequently, maintain power quality. As the population grows, more industries come up, and the demand for reliable power supply increases, there is a need to have new system designs and interoperable grid architecture. IT helps engineers achieve higher system monitoring capabilities and control power delivery, especially to critical services such as hospitals, military installations, sensitive manufacturing plants and commercial offices. Such a system is virtually impossible to monitor manually. Traditionally, designing electrical systems, especially large-scale projects such as regional and national grids, required thousands of man-hours. The simulation was long and tedious too, often requiring blind implementation or expensive physical models. Information technology allows engineers and designers to design virtual models, including high fidelity planning models, frameworks, and simulators. The same tools can also be used to improve virtually the existing traditional grids without the need for downtime or interrupting the power supply. The virtual simulation is cheap and easy to implement and allows a small number of engineers to design and implement large projects cost effectively. Dear members of the community, what do you think about the use of IT in the electrical engineering field? or copy this trackback: http://engineering.electrical-equipment.org/power-quality/integrating-it-in-electrical-systems-and-tools.html/trackback from your own site.